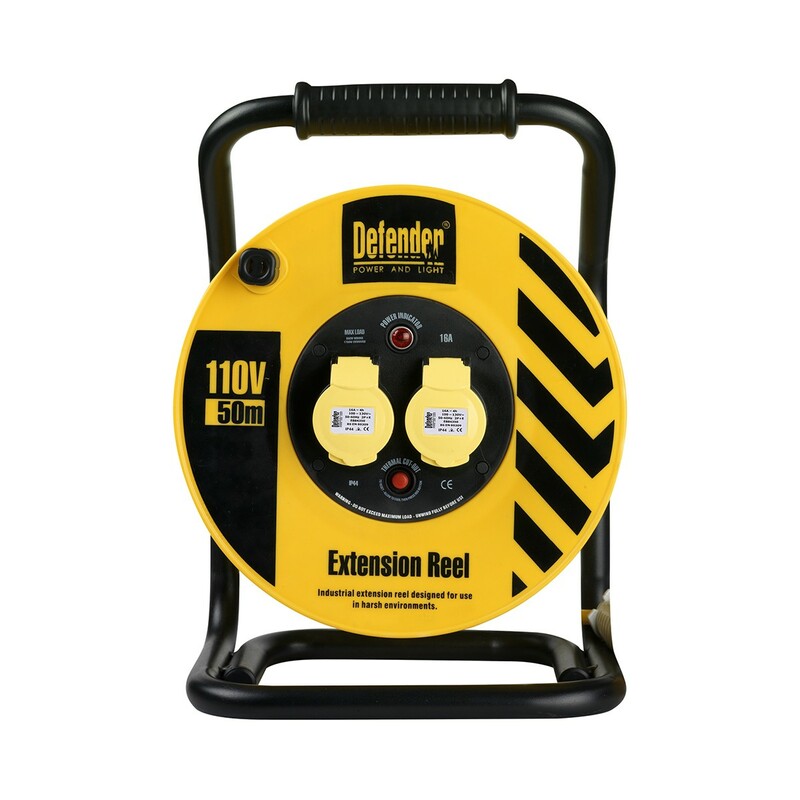 This heavy duty 50M reel has lots to offer including 2.5MM 3 core cable for extra safety and a strong steel frame providing a secure base. The neon indicator enables users to easily see from a distance when the power is switched on. Also includes a thermal cut out to prevent overheating. The longer length covers more distance with less resistance giving less voltage drop across the cable, a great benefit to keep users fully powered during the working day.